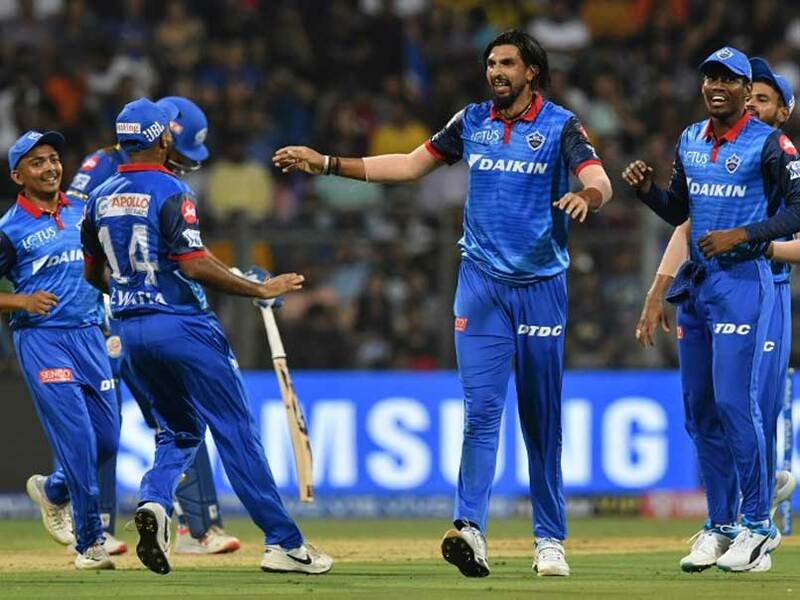 Delhi Capitals (DC) opened their IPL 2019 campaign with a 37-run win against three-time champions Mumbai Indians (MI) at the Wankhede Stadium in Mumbai. Chasing a mammoth 214 runs for victory, the home side were off to a steady start as captain Rohit Sharma and left-hander Quinton de Kock added 33 runs for the first wicket. Rohit, playing in his 300th T20 match was dismissed by Ishant Sharma on 14. Suryakumar Yadav was dismissed cheaply on 2 courtesy a fine run-out effected by Delhi Capitals’ captain Shreyas Iyer. Sooner, MI lost De Kock on 27 off 16 balls (4 fours, 1 six). At 45/3, Yuvraj Singh was joined by Kieron Pollard as the duo added 50 runs for the fourth wicket. Pollard was dismissed on 21 off 13 balls (2 fours, 1 six). MI received a big blow the very next over as Hardik Pandya was caught and bowled off the first ball by Axar Patel, reducing MI to 95/5 in 11.2 overs. Krunal Pandya’s cameo 32 off 15 (5 fours, 1 six) gave MI some chance but following his dismissal, it was very difficult for lone warrior Yuvraj Singh to chase down the huge total. Yuvraj’s 53 from 35 balls (5 fours, 3 sixes) in his debut match for Mumbai Indians weren’t enough as the home side lost by 37 runs. Earlier, riding on Rishabh Pant’s unbeaten 78 off just 27 balls at an astronomical strike rate of 288.89, Delhi Capitals posted 213/6 on board.